The earthy aroma of palo santo makes me endlessly nostalgic. The first yoga studio I frequented in New York filled the room with its scent of resinous, citrusy woodsmoke. When I moved to a new neighborhood far from my beloved vinyasa spot, I started to burn my own. Recently, though, I learned that one of my favorite rituals might not be so good for the environment or my spirituality. A few corners of the internet have been buzzing about the sustainability of palo santo, which promises to clear the energy of a space. Rayne Oakes, a Brooklyn-based environmental scientist and author of the forthcoming book How to Make a Plant Love You and host of Plant One On Me, explains that while palo santo isn’t threatened or endangered like cheetahs, angel sharks, and grizzly bears, the massive commercial rush is a cause of concern to the communities living near the trees. On yet another list, curated by the International Union for Conservation of Nature’s (IUCN), the tree is classified as “endangered.” Because the Gran Chaco boreal region doesn’t keep exhaustive records of the oil and wood they export, the environmental impact of harvesting (or over-harvesting) sadly can’t be fully known. Like many resources in the wellness world, the line between use and exploitation isn’t always clear. So it’s really up to you to decide for yourself whether you’re a-OK with adding a bargain bundle of palo santo to your Amazon cart and choosing that Prime shipping. Like many resources in the wellness world, the line between use and exploitation isn’t always clear. In order to preserve the trees mystical qualities, Third Eye Wood—a website dedicated to palo santo—says that trees should never be prematurely cut down. After they die, a period of three to five years must pass by before its materials can be collected. The substance is then traditionally be used ceremonially in prayer, shamanic ritual, and even healing. The harvesting practices in the tree’s native country aren’t entirely transparent; it’s difficult to know if every producer is doing their due diligence to wait for the palo santo to die naturally. Just because you’ve become accustomed to creating a small, contained fire to clear out the stale energy in your room doesn’t mean it’s the only way. 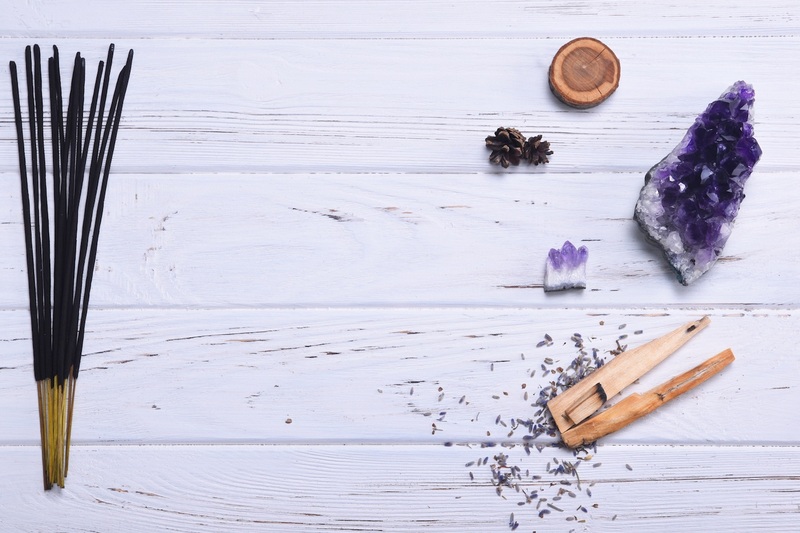 Why not DIY a ritual that you can feel good about—from source to smudge? While you’re getting a little woo woo, here’s the 101 on using tarot cards and how to cleanse your crystals.